Maltipoo Names - Will You Find The Perfect One For Your Cute Pup? 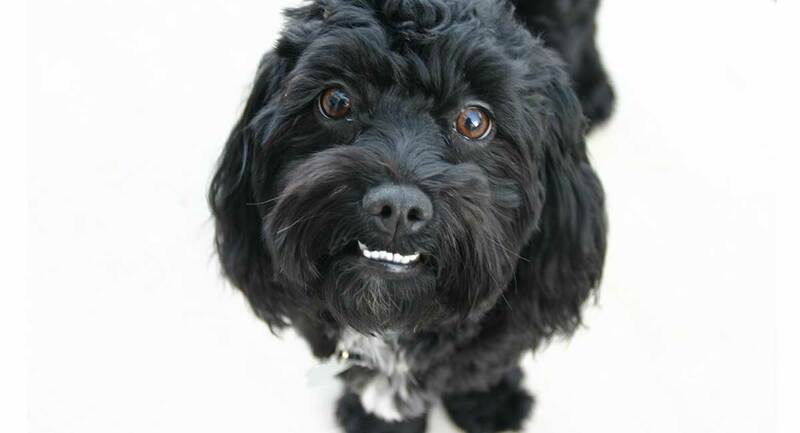 You are here: Home / Dog Names / Maltipoo Names – Will You Find The Perfect One For Your Cute Pup? Maltipoo Names – Will You Find The Perfect One For Your Cute Pup? Finding awesome Maltipoo names for your new Maltipoo pup can feel like quite a challenge sometimes! After all, you and your new puppy are still in the “getting to know you phase” but yet you feel all this pressure to pick a name right away. We hope to take the pressure off and give you lots of food for thought (hopefully of the treat variety)! Steer clear of Maltipoo names that sound too similar to important commands you want your Maltipoo to learn. This will help avoid extra confusion and frustration during training! Selecting a less-common Maltipoo name is a good way to keep every dog at the dog park from running to you when you call your own dog! If you are leaning towards longer Maltipoo names (three syllables or longer) see if there is a cool nickname you can use so you don’t wear yourself out calling your dog. Some people might be super-flattered if you want to name your Maltipoo puppy after them….others, perhaps not so much. Asking the person is the best policy here! Choose a name you don’t mind saying out loud in public in mixed company. There – that’s it for the naming tips. Now let’s get down to business and take a look at Maltipoo names in lots of different categories! It is easy to see why friends and family might automatically assume your new Maltipoo is a girl. That long, luxurious hair and decorative topknot all in one winning and winsome package. In this case, everyone who guesses is right, and these female Maltipoo names simply confirm it! For even more female dog names, head on over to this article. Your Maltipoo may have a gorgeous mane of hair and the posture of a prima ballerina. But on the inside, he is smart, strong, courageous and absolutely doesn’t realize how small he really is! Check out these male Maltipoo names fit for the little prince in your life! For even more male dog names, check out this article. Maltipoo puppies are not just cute – they are really little! Even as adults, this breed rarely tops 12 pounds, which basically means your little pooch stays puppy-size throughout life. Because these small breeds grow up so fast, it may even seem like your Maltipoo puppy gets bigger every single day. But inside your heart, you will forever remember the handbag-sized pup you brought home that wonderful day. And these Maltipoo puppy names can help preserve that precious memory! Luckily, this breed is known to be eager to please and thus easy to train. Otherwise, one look from those adorable round button eyes and you might be forgiven for letting your little scamp off the hook during training! These cute Maltipoo names are inspired by celebrity name choices for their Maltipoos, Maltese and Poodle dogs. They strive to capture the engaging, lovable and affectionate pooch you will be sharing your life with! Eager for more cute dog names? We think you will love this article. The Maltipoo takes its newfound heritage from two of the most ancient, beloved and venerable purebred dog breeds on the planet: the Maltese and the Poodle. It would be hard to find two smarter, sweeter, braver dogs than these two! The Maltipoo names in the following two sections come from the French (Poodle) and Malta (Maltese) cultures – a nod to your precious pooch’s noble beginnings. For more inventive and interesting dog names, take a look at this article. In France, the Poodle is the official national dog. This is despite the fact that Poodles were first bred in Germany! These French-inspired Maltipoo names honor the French people for their devotion to Poodles! In the tiny country of Malta, the Maltese has been an icon for as far back as 1,500 B.C. – that is a really long time! These Malta-inspired Maltipoo names make for great conversations at the dog park or the dinner table when you share more about your fur baby’s noble history! The Maltipoo looks very cute, but underneath all that fine and fancy fur lives a very cool character! Maltipoo dogs definitely know how to get what they want from “their” people – and sometimes it is hard to tell who is in charge of whom! These cool Maltipoo dog names tip the hat to the big personality living inside your Maltipoo’s teensy body! Don’t let the coolness stop – find more cool dog names here. There is no other dog breed on this planet quite like the Maltipoo. Athletic, intelligent and unique enough to have earned the devotion of kings, emperors, saints and people everywhere, your pup deserves a selection of unique Maltipoo names inspired by Maltese-loving royalty! Still need more unique naming ideas? We highly recommend this article. Have you found your pup’s perfect name? Drop us a comment to share your pick! Borg, J., 2017, A Brief History of the Islands of Malta and Gozo, Malta Migration . Lambert, T., 2018, A Brief History of France. Cohen, T., 2010, Boom in celebrity pooch breeds like the maltipoo, Daily Mail. Vinzant, C., 2009, Why we love Maltipoos, People Magazine. Satran, P.R., 2012, Blake Lively, Usher & More Celebrities Crazy About their Dogs, Daily Beast. Cain, E., 1995, The Poodle History Project, Poodle History.